Larry A. Weiser was born in Cleveland, Ohio in 1946. He graduated from The Ohio State University with a Bachelors of Arts in 1968. He then enrolled in The Ohio State University School of Law and subsequently graduated in 1971. Upon graduation, Larry founded Larry A. Weiser Co., L.P.A., a small boutique law firm which specialized in personal injury and Workers' Compensation claims. Over the years Larry has represented thousands of individuals injured as a result of negligence or on the job. 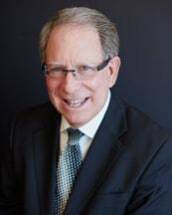 Larry has joined his firm with Howard E. Skolnick to form The Skolnick Weiser Law Firm, LLC, to assist more individuals with their legal needs.